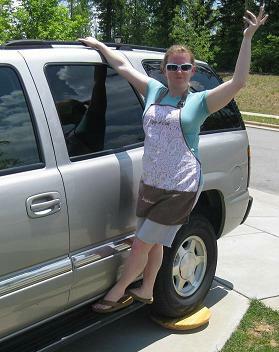 In my cake decorating business I went thru several cake turntables, plastic, metal, and ceramic. They were either too small, broke, and one squeaked like my brakes! I finally broke down about two years ago and had a cake decorating turntable custom made just the right size that would last. The wood measures one and a quarter inches thick for both the base and the top. The smallest one measures 18 inches, which holds my large and small cakes. We also have a 24" and a 36" lazy Susan perfect for the table. 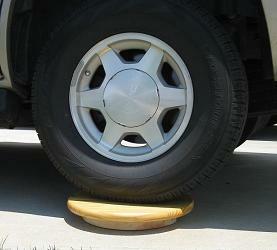 These wood turntables will hold up to 1,000 pounds and I put my SUV on it just to test that! So for cakes, no problem! If you have any questions please E-mail me about your cake turntable here. Your order will ship out within 3 days UPS ground. Outside the continental USA or for special shipping please email me for pricing.